At Montefiore Medical Group, we work together with our patients to achieve and maintain their good health. Every patient receives a comprehensive evaluation and has an individualized medical team dedicated to his or her care. Our patients become our partners in their own care. We welcome most insurance plans. We also offer a sliding-fee scale for patients who are uninsured. If you do not have medical insurance, we will help you find the coverage that is most appropriate for you. Be honest with everyone on your care team about your medical history. Bring a list of all your health questions. Put the questions that are most important to you at the top. Bring a trusted family member or friend with you to help listen as your healthcare team explains your condition and your treatment plan. Bring a list of all medicines, vitamins and herbal supplements you take to every appointment. Tell your healthcare team about any other healthcare providers you see so we can include them on your team. Learn about your conditions, treatments and any medical tests you will be getting so you can ask questions or address concerns you have with your healthcare team. You are the center of your healthcare team. Work with your team to develop and follow a care plan that’s best for you. Ask questions, be honest about what does and does not work for you in your plan, and make suggestions about what might work better for you. Do your best to keep scheduled appointments, and call to reschedule or cancel as early as possible. 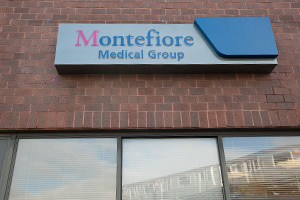 Montefiore Medical Group (MMG) has been providing exceptional healthcare services to families since 1947. Both our primary care doctors and world-renowned specialists treat the unique needs of children and adults at more than 20 convenient locations throughout the Bronx and Westchester County. When you choose an MMG doctor, you also gain access to Montefiore and its extensive range of primary and specialty healthcare services for your entire family. Montefiore offers state-of-the-art care in a compassionate environment. Our specialists offer a full range of care for your needs, including cardiology, cancer, organ transplantation, women’s health, surgical subspecialties and more.